Traditionally, nuclear imaging has always been hampered by limited resolution. Home/Traditionally, nuclear imaging has always been hampered by limited resolution. 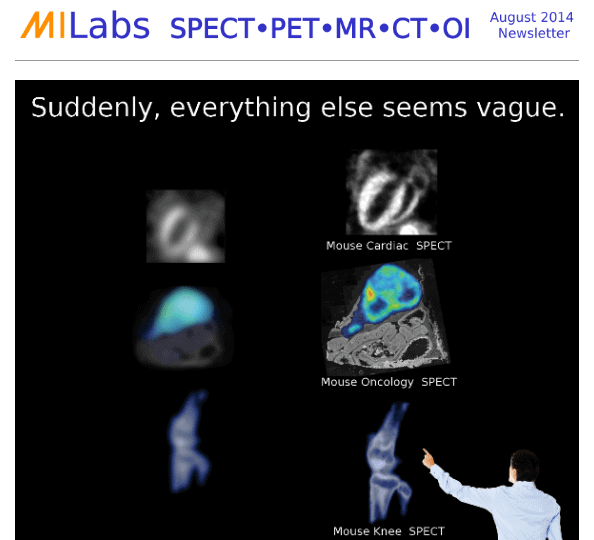 MILabs’ versatile high performance molecular imaging solutions set a new standard for molecular imaging research with reliable, compact, multi-modality imaging systems for mice, rats and medium sized animals. Unique high performance; proven resolutions of <0.25 mm in SPECT and <0.75 mm in PET. 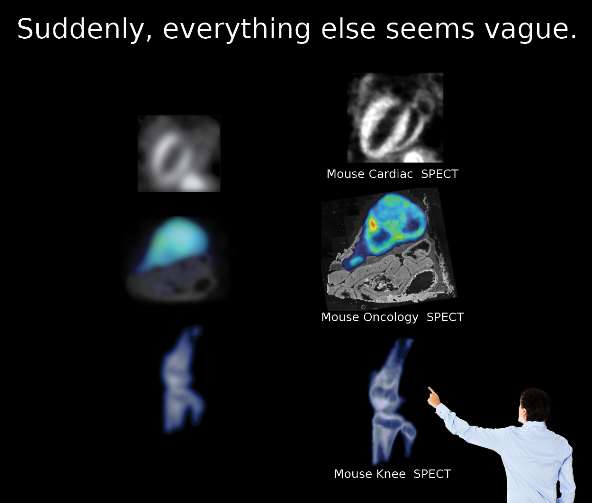 Unique truly simultaneous SPECT and PET imaging. Unique exceptional wide energy range (15-600 keV) enables to image theranostic isotopes such as 131I and 213Bi. Unique SPECT/PET/MR/CT/OI fitting on just nine square meters. Unique focusing capabilities enabling sub-second organ and tumor SPECT. Unique ultra-low dose whole body SPECT. Unique ultra-fast (<8 sec) dynamic whole body SPECT. Which unique features do you need? Contact us here. beheer2017-11-03T07:54:40+02:00August 1st, 2014|Comments Off on Traditionally, nuclear imaging has always been hampered by limited resolution.